I am writing on behalf of Lawyers Rights Watch Canada (LRWC), a committee of Canadian lawyers who promote human rights and the rule of law internationally. LRWC also provides support to lawyers and other human rights defenders in danger because of their advocacy. LRWC requests that you make urgent application under United States (US) legislation 18 USC §3582 (c) (1) (A) (i) for the release from prison of Ms Lynne F. Stewart, age 73, on compassionate grounds because of her terminal condition with stage four cancer and her service to the community. Ms. Stewart is serving a ten-year sentence in the US related to charges relating to her efforts as a lawyer defending Egyptian cleric Sheikh Omar Abdel-Rahman on charges of seditious conspiracy for which he is now serving a life sentence. Ms. Stewart has a terminal disease which in all the circumstances is an extraordinary and compelling reason to warrant a reduction of her sentence. Ms. Stewart poses no threat to the safety of the community. There is a viable release plan. In this request, we join with a number of other international human rights organizations, including the International Commission of Jurists, Front Line Defenders and Human Rights First and others including Archbishop Desmond Tutu former United States (US) Attorney General, Ramsey Clark. In 2005, Ms. Stewart was convicted and sentenced to 28 months in prison. However, in 2010, on appeal, her sentence was dramatically increased to a sentence of 10 years imprisonment. Ms. Stewart has acknowledged before the court that while her motivation for her actions was that of a zealous advocate, she never shared her client’s goals and that she regretted her actions as having been careless, overemotional and politically naïve. Ms. Stewart has never used or advocated violence. Ms. Stewart poses absolutely no threat to the community. At the time of her sentencing in 2010, Ms. Stewart had been scheduled within a week for surgery in New York. Because of the order for imprisonment, she instead had to wait eighteen months for that surgery. Stewart’s breast cancer returned after she was imprisoned, and, in the meantime, the cancer metastasized to other parts of her body. Her condition is now considered to be terminal. Ms. Stewart is currently receiving medical treatment at the Federal Medical Center prison in Carswell, Texas. She is subject to shackling in leg-irons, belly chains and handcuffs while being transferred for treatment to a medical center in Fort Worth, Texas and is shackled to the bed while receiving treatment. It is also reported that she experiences lengthy delays in receiving results of treatments and that it can take weeks to see a provider of medical services. Such treatment of Ms. Stewart constitutes improper treatment of a prisoner who poses no danger to herself or others and poses no security risk. There has been no suggestion whatsoever that Ms. Stewart, a 73-year-old, seriously ill cancer patient, presents any risk of escape or any risk to herself or to those transporting or treating her. Such unnecessary use of restraining force during the process of medical treatment of a seriously ill, elderly and frail person is degrading, humiliating and medically unsound. Shackling in such circumstances is disproportionate and degrading and constitutes unnecessary discomfort and indignity in violation of international standards. We emphasise that the warden at Carswell Federal Medical Center recommended on 26 April 2013 that Ms. Stewart be immediately released on compassionate grounds. We also understand that Federal probation officers have reviewed a release plan for Ms. Stewart to live and be cared for in Brooklyn while receiving medical treatment at the Sloan Kettering Cancer Center in New York. Thus, there is a viable plan for her release. 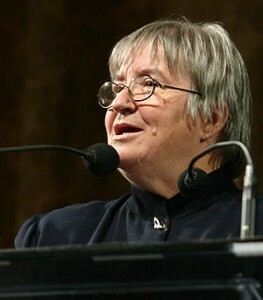 Lynne Stewart has now served a third of her 10-year sentence. Compelling and extraordinary circumstances warranting her immediate release are present. These circumstances include: her terminal condition, the urgent need to optimize the quality of recommended and necessary medical treatments, the failure within the prison system to ensure acceptable and timely and humane delivery of medical treatment, Ms Stewart’s history of service to the community as an attorney, and the absence of any public purpose in her continued detention. LRWC urges you to take all necessary actions to ensure the immediate release of Lynne Stewart on compassionate grounds warranted by extraordinary and compelling reasons. Thank you.